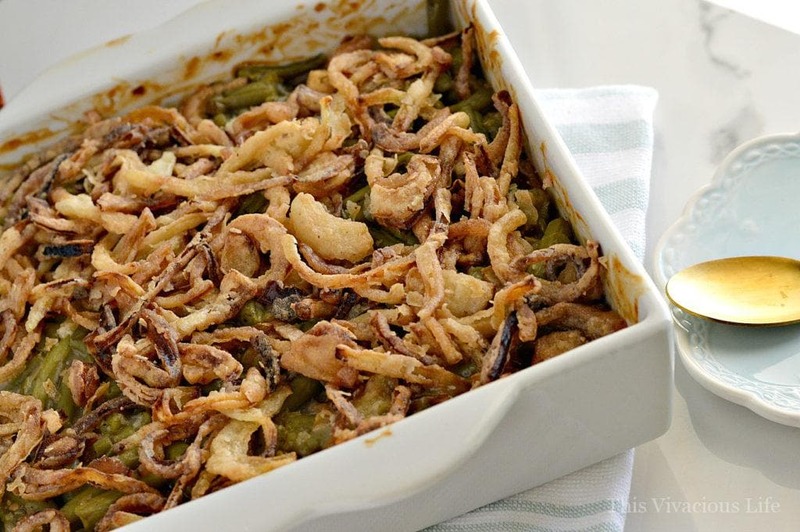 My hands down favorite Thanksgiving food is gluten-free green bean casserole with homemade fried onions. I can literally eat the entire pan on my own! 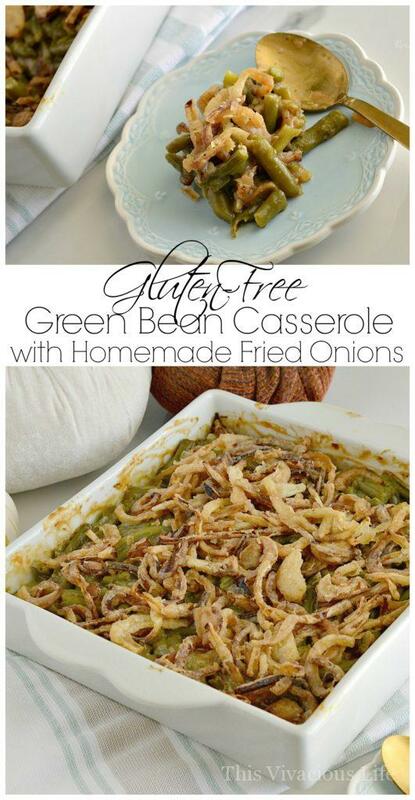 Gluten-free green bean casserole has always been one of my all time favorite Thanksgiving day foods. 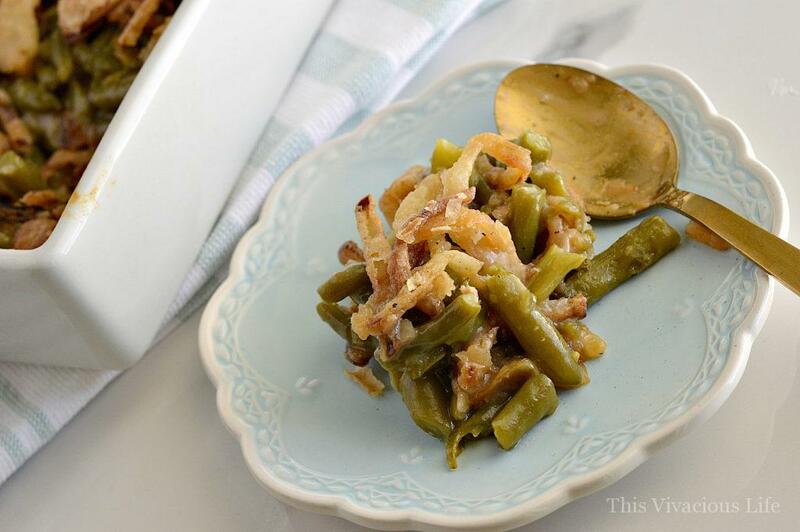 I decided to make a recipe for gluten-free green bean casserole WITH homemade fried onions for you all. 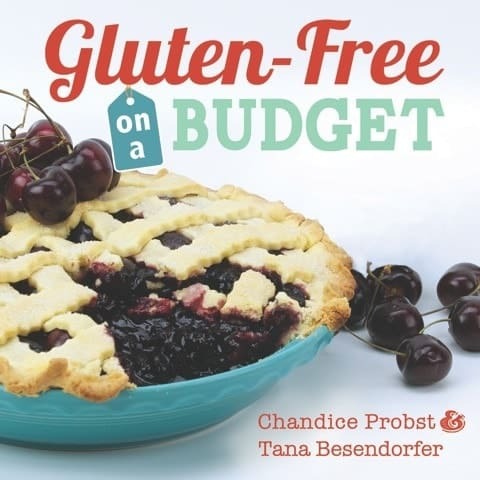 Because if you know me, then you know that I don’t think anyone who lives gluten-free should miss out on anything. Especially not on holidays. 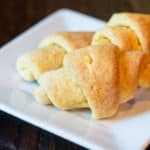 This is why my talented mama and I recreate delicious favorites like her gluten-free crescent rolls or gluten-free cinnamon rolls. I also love to come up with fun new menu items that everyone will enjoy. 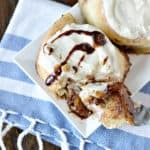 This sugar free pecan pie from All Day I Dream About Food and these simple roasted parsnips from Healthy Seasonal Recipes both look like something worth trying too! 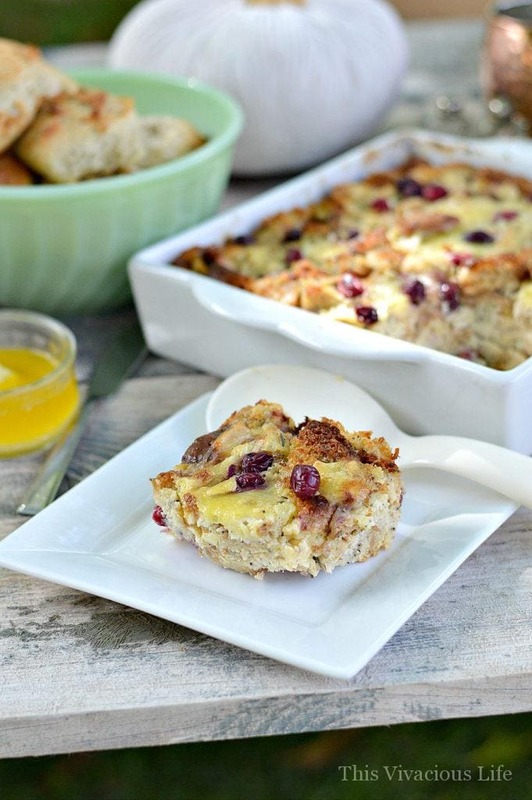 Remember my our turkey, cranberry and brie savory bread pudding? 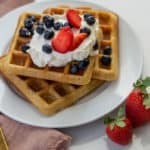 It is always a big hit on the Thanksgiving table. 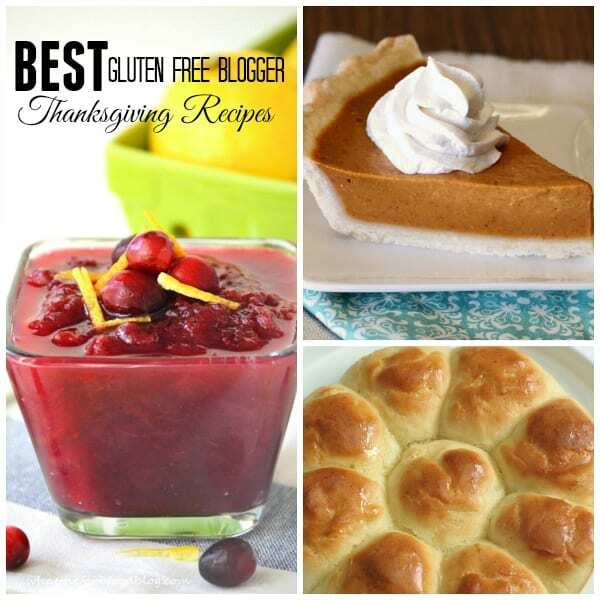 It’s also a recipe that is great for using leftover turkey. 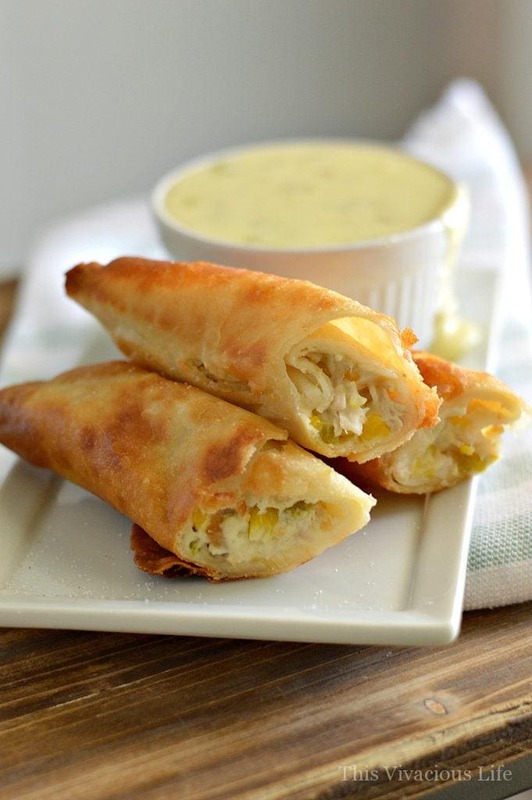 Our turkey, corn and cream cheese fried flautas are also great for using leftover Thanksgiving turkey! If you have leftover ham, don’t fret, our ham n’ cheese potato casserole with pretzel crust is great too. 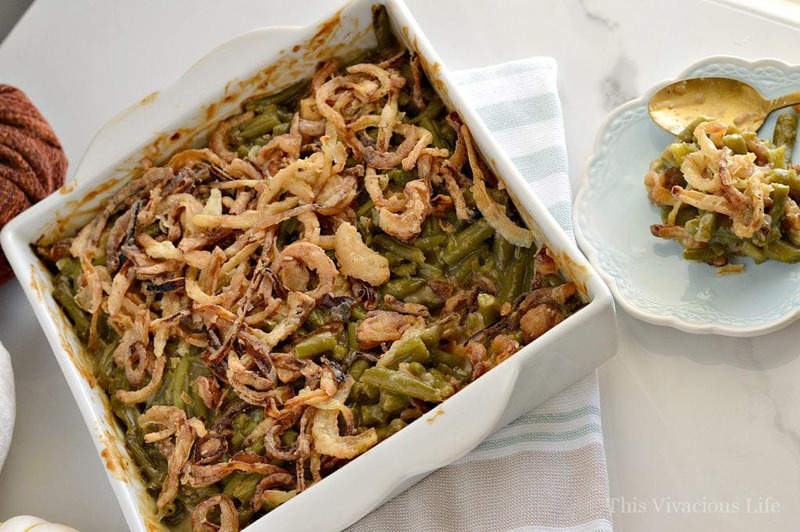 This gluten-free green-bean casserole with homemade fried onions is surprisingly easy and will definitely be a crowd pleaser. -Don’t use purple onions when making fried onions as they turn out a bit dark and unpleasant looking. Stick with white or yellow. 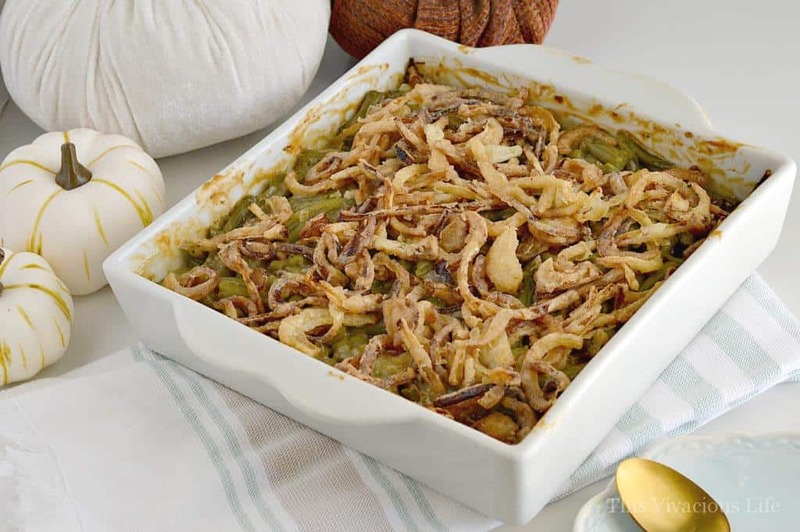 -Prepare the homemade fried onions up to three days in advance to save yourself time on Thanksgiving. 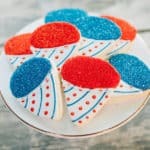 Be sure to let them fully cool before storing them in an airtight container or ziplock bag. 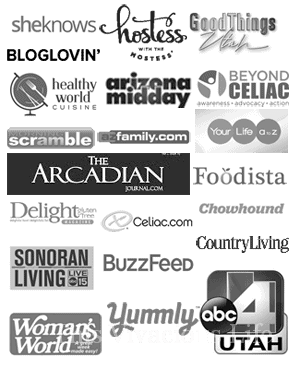 -Use Pacific brand cream of mushroom or chicken soup as it is gluten-free and not too think in consistency. 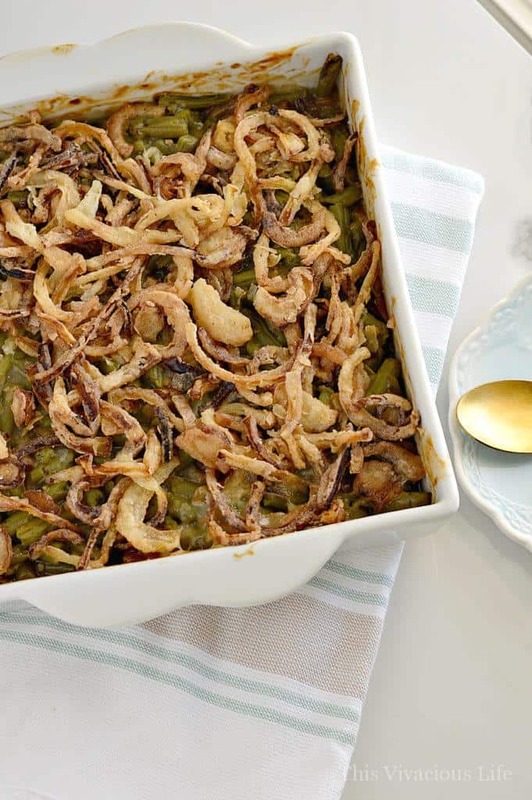 -Be sure to season both the fried onions batter and the casserole itself with a bit of cracked black pepper. 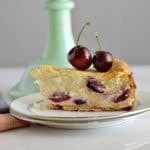 It adds a great depth of flavor! You may wonder why I use canned green beans instead of fresh. 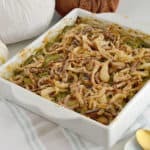 The truth is that I love a classic green bean casserole and the fresh just don’t give it that same flavor that grandma’s did. What can I say, I am a very nostalgic person. If you like fresh, most certainly feel free to use them. 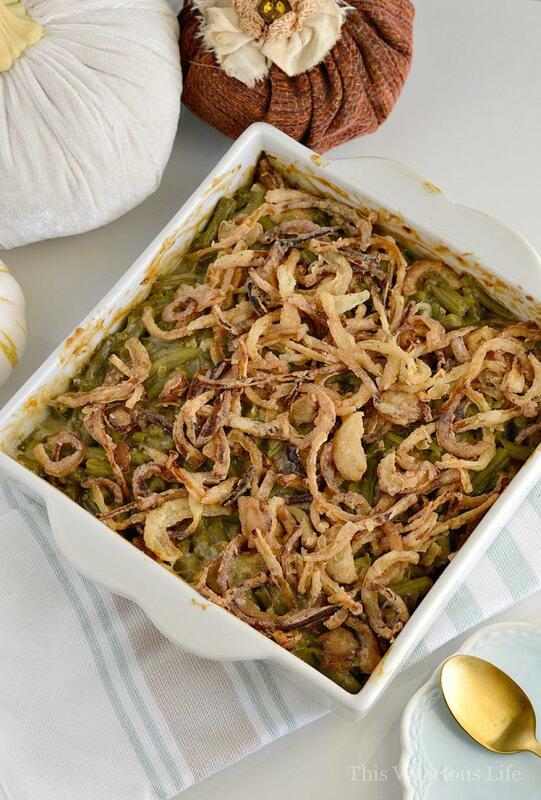 This gluten-free green bean casserole with homemade fried onions is a Thanksgiving favorite every year! 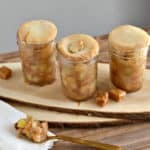 It is full of the classic flavor you remember with fresh fried onions that you will want to top everything with. 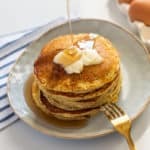 Be sure to only use yellow or white onions for the homemade fried onions. Purple onions come out dark and unappetizing. *Originally published October 30, 2017. 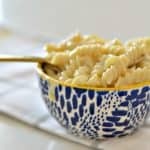 I tried this casserole on thanksgiving and it was super yummy! I loved having the gluten free onion rings on top. 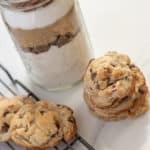 Even those who don’t have a sensitivity to gluten loved it!